The new year has some local organizations looking at achievements made in 2018 and setting goals for 2019. Boost the Boro, Inc., a non-profit committed to improving business and revitalization in Bladenboro had a lot to celebrate. There first meeting of the year was held at the community building in the small town. The facility was packed with business professionals, elected officials, and volunteers. There were an estimated 60 people in attendance. Don White, President of the group was absent, but Rodney Hester, Vice President filled in the role. Hester welcomed everyone and explained the purpose and importance of Boost the Boro. 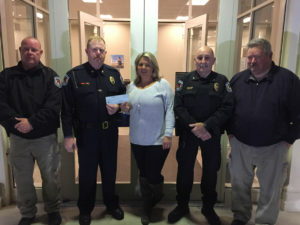 Contributed : Photoed are Bladenboro Police Chief Will Howell ,Lieutenants Randy Sykes, Kevin Rouse, Ashley Norris and Johnny Anderson Boost the Boro Christmas Giving Committee members. 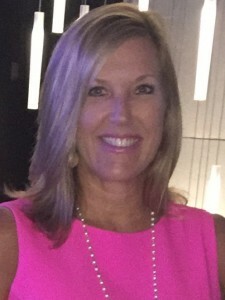 After the meal was served Joyce Walters announced the work completed by the non-profit to help the local area in 2018. Walters explained Boost the Boro members had to make a lot of repairs at the Bladenboro Farmer’s Market due to damages from Hurricane Florence. They also had to repave the parking lot. Last but not least the group donated $10,000 to merchants who received damage caused by the hurricane according to her report. Group members also donated to other causes in the area and held clean up days to pick up roadside litter. Next, Penny Walters announced the annual Spring Fling will be held the first Saturday in April on the 6th. “This year it will be bigger than last year,” Walters said. Food, craft and business vendor spaces are available. Craft or business vendor spaces are $25. Anyone interested in a craft or business booth may contact Page Burney. Food vendors are asked to contact Claudette Guy. Food booth spaces are $75. Set-up time for vendors the day of the event will be 9am-10pm. Before the meeting was adjourned the group voted to meet the second Tuesday of each month at the Farmer’s Market at 6:30 p.m. If anyone is interested in joining the committed volunteers to help the non-profit is asked to pay a $25 membership fee. Anyone interested in assisting business and the area of Bladenboro grow may join the organization. For more information visit: boosttheboro.org.